In 1979, Ian Truscott, one of the members of the top Australian Christian singing group Family, wrote The Ballad of a Balladonia Night  a cheerful song to commemorate the fall of Skylab at Balladonia. The song received wide airplay across the country in 1979. Ian has very kindly given permission to make the song available here for your enjoyment. 2.7MB mp3 file  with grateful thanks to Ian Truscott. All rights reserved. 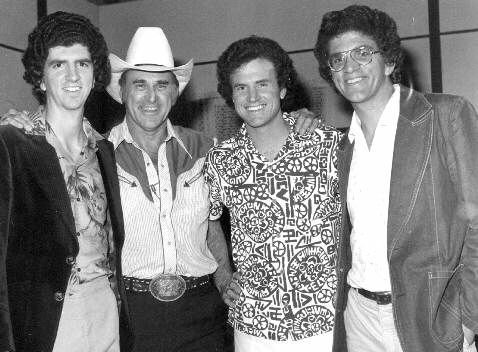 Australian Country legend Reg Lindsay (second from left) with Family at the TCN-9 television studios at Willoughby in Sydney in 1978. L-R: Phil Truscott, Reg Lindsay, Ian Smallbone, Ian Truscott. Coincidentally, Reg Lindsay made a special appearance to sing A Man Named Armstrong at the Honeysuckle / Tidbinbilla 20th anniversary of Apollo 11 in Canberra in 1989. Photo courtesy Chris Fauchons Family tribute website. 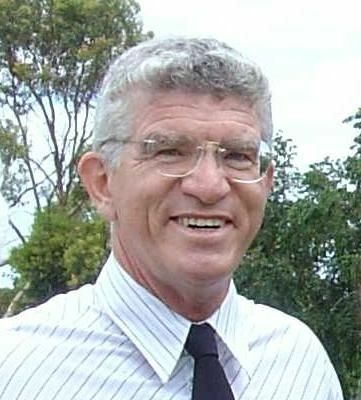 A 2004 photo of Ian Truscott. With thanks to Chris Fauchon.